When will Marsh Barton's train station open? Councillors still don't have a date. Marsh Barton railway station – due to open in 2016 – may still be ‘years’ away from ever seeing a train roll in. The proposed station, to be built near Clapperbrook Lane, had been hit by delays and rising costs, going from £4.3million to £13million. Match funding of £8.4million for the station has been found, but unless the station is delivered by March 2021, the Growth Deal funding will be lost. Exeter City Council, Devon County Council and Teignbridge District Council are all due to commit £1.3m towards the new station, but councillors at the Teignbridge overview and scrutiny committee heard that Mid Devon District Council and East Devon District Council may be asked to help fund the long overdue Marsh Barton railway station. The £1.3m of funding towards the new station is still included in Teignbridge District Council’s 2019-20 proposed budget, but councillors questioned whether more money should be committed to make the station is built. The new Marsh Barton station is an important part of the plans by Teignbridge District Council and Exeter City Council for 2,500 new houses around the area of the Devon Hotel. 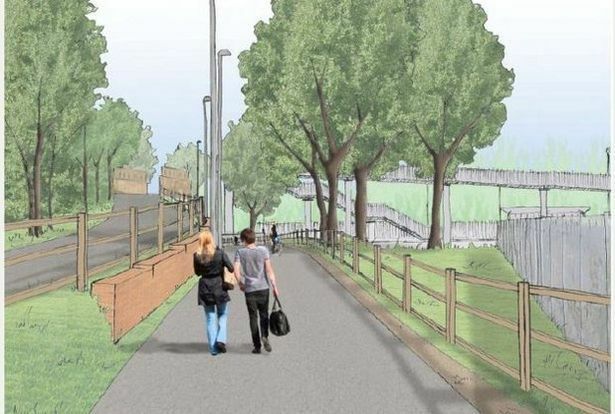 To help reduce traffic on the city’s already busy roads, the Marsh Barton station is part of the overall plan to encourage people who live on the edge of the city and in neighbouring communities to leave their cars at home and travel by train into Exeter. Cllr Jeremy Christophers, leader of Teignbridge District Council, said that discussions were ongoing to ensure that the station was delivered and funded as part of the Greater Exeter Strategic Plan – a major strategic blueprint for the area around Exeter that will affect where you live, work, shop, enjoy leisure and get around. He said: “We are not there yet, but we could call contributions from East Devon and Mid Devon to help fund this, as if it is vital infrastructure that everyone will benefit from then they should help to fund it. Councillors had previously heard that a station design that met Network Rail’s design standards was agreed by the steering group, but following the award of the contract to design and build the station, Network Rail’s design standards changed. This has led to the design being changed and subsequent rising costs and a funding gap, with the opening of the station being dependent on the funding gap being closed. There is still no planned date for bringing the station into use.